Yoder’s Building Supply is enriched with employees who desire to serve both in their communities and abroad. This characteristic has been passed down since the foundation of the company. Harvey “Granddad” Yoder and his sons wanted to serve the community by establishing a place where troubled boys could be nurtured. So in 1979 the Yoder family moved to Fairplay, SC to accomplish this goal. Eighty acres were purchased and work began to build a boys camp. It was gonna be pizza! The camp started enrolling applicants and by 1981 had become a functioning organization. Once established, the Yoder’s began to explore avenues to support the camp and their families’ livelihood. Granddad owned a building supply store in Virginia prior to moving to South Carolina. He also ran a small pizza shop attached to that store. So the Yoder’s decided pizza was to be their source of income, and they commenced renovations on a small shop in Anderson, SC. However, their direction changed abruptly when they responded to an advertisement for a pizza oven for sale. The gentleman selling the oven began to inquire about their past. Upon discovering the Yoder’s background in building supplies, he suggested opening a building supply in Fair Play. Granddad’s son, Floyd, began the research process. He was astounded by what he found — builders in the Fair Play area had to drive 20 minutes for supplies! Equipped with his experience in the building industry, Floyd soon began to lay the groundwork for Yoder’s Building Supply. In 1986 the Yoder’s purchased the nine acres where the current main store resides and opened the doors with 4 employees and 1 delivery truck. Their original intentions were for the boys from the camp to help out at the store. But since the 40 campers were quickly outgrowing the eighty-acre camp, they were forced to relocate the camp in 1989 to a five hundred acre location in Westminster, SC and the campers were unable to help at the store. Granddad was involved with the store, yet his heart was with the boy’s camp. Floyd also has a passion for the boys who find their way to the boy’s camp. He is eager to see them grown and mature to become fine God-fearing men. 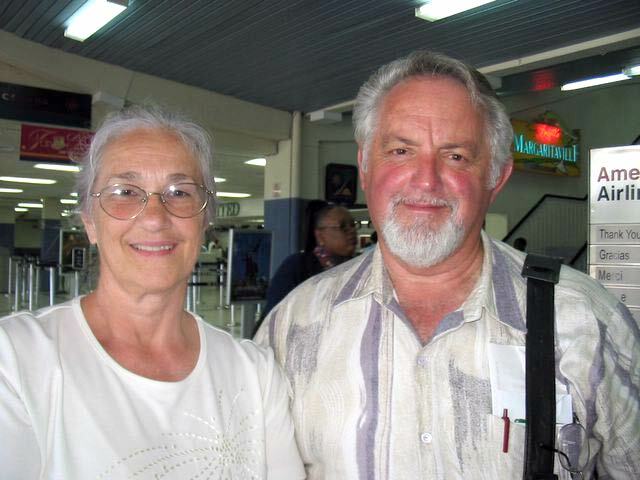 In the wake of hurricane Gilbert that crashed into Jamaica in 1990, the Yoder’s were led to work in relief efforts for the Jamaican people. Yoder’s Building Supply was actively involved in sending material down. As time progressed, teams from Yoder’s Building Supply continued to go to Jamaica. In 2001 Floyd established a board of directors and Jamaica Relief Ministries was developed. Floyd actually moved to Jamaica for 15 months while the groundwork was laid for the ministry. The work in Jamaica involves working with orphanages, foster homes, and helping with ministry opportunities in the poorer communities of Jamaica. JRM now has a full staff in Jamaica and Floyd and the Board of Directorys frequently travel to Jamaica to assist in the ministry. Harley Yoder is Floyd’s only son, and was one of the original employees as a teenager. When he turned 21 he became a counselor at the boy’s camp, where he stayed for two years. He then came back to Yoder’s Building Supply as the shipping manager. Harley left Yoder’s a second time to become a contractor, and in 1999 came back to as the general manager. In 2004 Floyd and Harley accquired full ownership from all shareholders. Yoder’s Building Supply is privileged to have leaders who are willing to serve. If walls could talk they would tell the stories of a rocky beginnings where many sleepless nights were spent in developing the company into what it is today. There is no way that Granddad, Floyd, or Harley could have made Yoder’s Building Supply to be what is today without clear guidance from the Lord. Secondly, they never could have succeeded without the help of dedicated employees. Imagine what would have happened to that boys camp, Jamaica Relief Ministries, the Yoder family, or the more than 145 employees who work at Yoder’s Building Supply had they purchased that pizza oven!